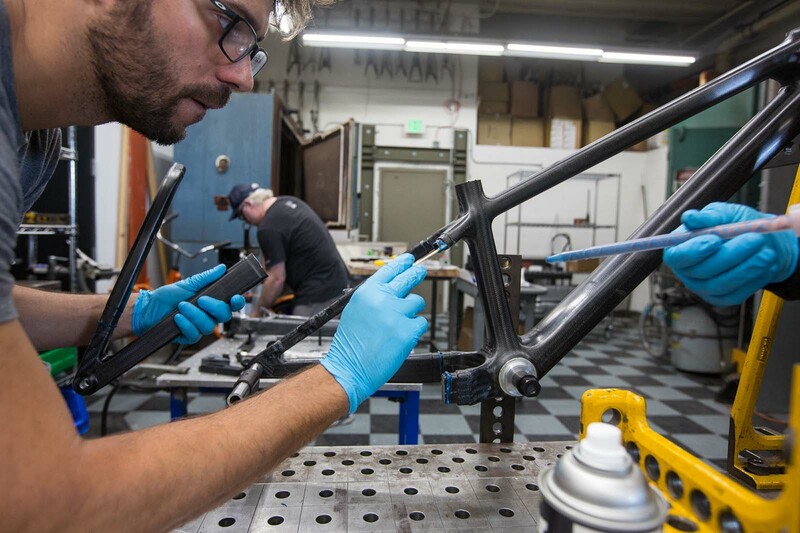 The story behind Danny’s carbon trials frame dates back to the time he first rode a carbon mountain bike. In early 2014, Danny asked if he could borrow one of our carbon Bronsons for a little project he had cooking on Skye that summer. He said he might be a little rough on it. We said OK, and never expected to see it again. 56 million views later, we’re almost tired of seeing that old Bronson now. 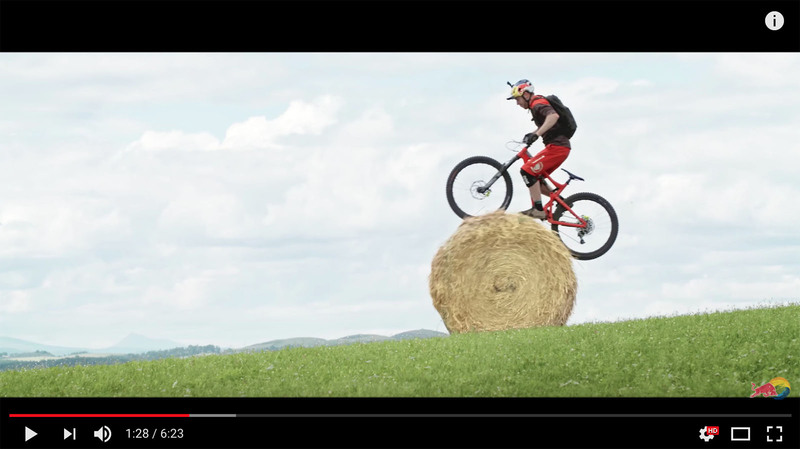 None of us expected “The Ridge” to bring mountain biking to the masses the way it did. It was great for the sport, the Scots, and the beginning of our relationship with Danny. At this point, Danny was still just borrowing bikes from us. And to be fair, he was returning them too. A bit scuffed, but still fully rideable. He was like a one man test rig. So we effectively asked him to join us in that capacity. Not a peep. 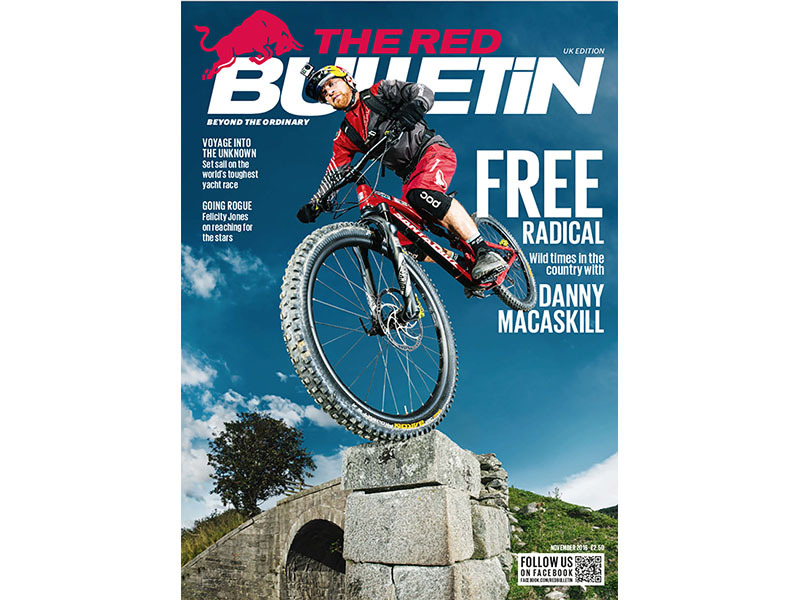 Even when Danny appeared on the cover of 2 million copies of Red Bull’s The Red Bulletin, the phone stayed silent. It was pretty weird. It seemed like nobody really noticed, and yet here we all were at Santa Cruz getting mega excited at the potential of these things. (*Despite this, Danny had actually failed us in finding the breaking point for the wheels. So we sent him back out again on the streets of Glasgow to finish the job. 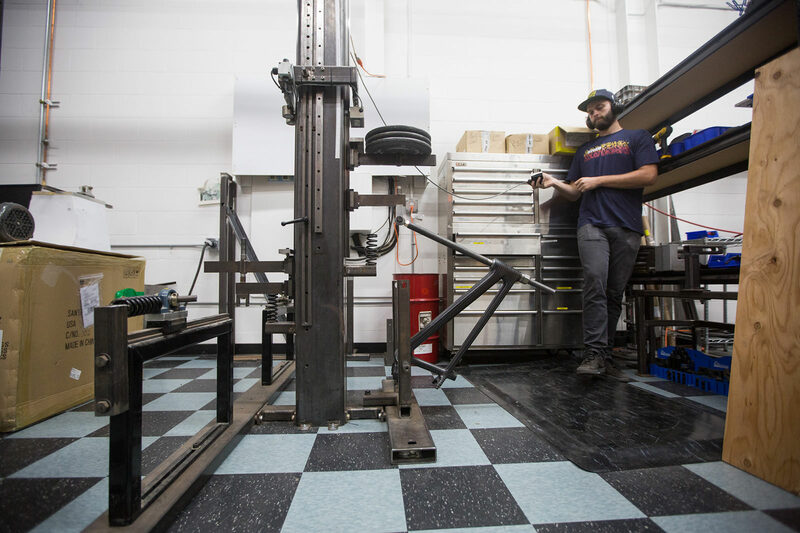 The in-house composites lab at Santa Cruz was initially set up for the wheels program. The testing here is what resulted in the distinctive spoke reinforcement profiles found on Reserve rims today. 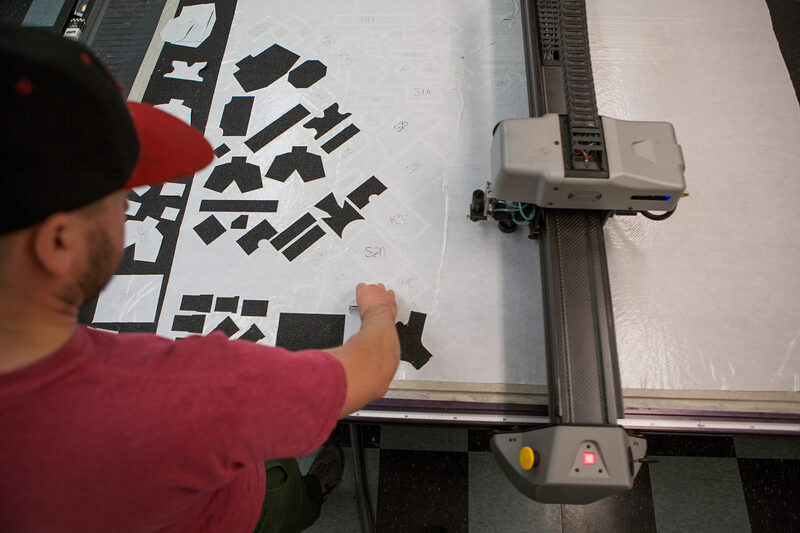 It features all the equipment you’d expect in a carbon lab—cutting table, prepreg freezer etc.—but also a few things you won’t find anywhere else, like a heat press we designed and built in-house. Resembling a panini machine built by Egon Spengler, the press is an invaluable piece of custom machinery whose infinite adjustability allows us to fine tune the ideal curing sequences. All the gear, now what’s the idea? One of our goals at Santa Cruz is to do our bit to develop sustainable practices in manufacturing. A great advantage of the latex bladder technique is that the bladders are reusable. Some bike frames are made using latex-dipped EPS mandrels, but these bladders are still one-time use. Reusable latex bladders are used in a variety of non-bike manufacturing environments, but they typically require CNC-machining an aluminum mandrel to dip into the liquid latex, and each mandrel can take around 100 hours to machine. We wanted to develop the best bladder system possible so we relied on 3D printing to create the forms we needed. 3D printing has the advantage of allowing very complex shapes that would take heaps of CNC hours, if even possible. We opened up the design space for the mandrels and made the best possible latex form. It's also much quicker, then allowing more design revisions than would otherwise be possible. Reusable 3D printed mandrels opened the design space massively and made it possible to turn new, more complex designs around overnight. “Once we had the latex bladders nailed, we needed to understand how precise we could get with layup and materials in order to maximize the new technique” continues Nic. 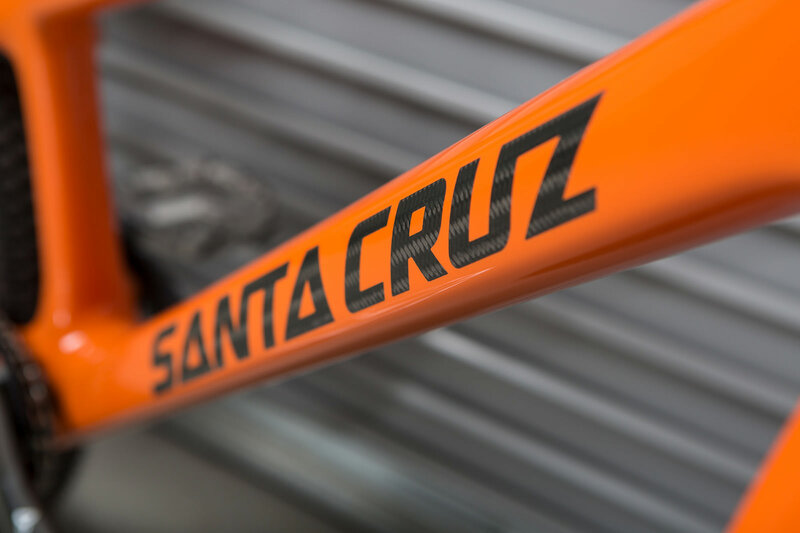 This is where having a composites facility in Santa Cruz has a serious advantage. Most carbon materials development is done for the aerospace industry, and because of that, there’s reams of paperwork to be done if you want to take it out of the country. But if you’re in the USA, it’s vastly easier to order small quantities for experimentation and prototyping. 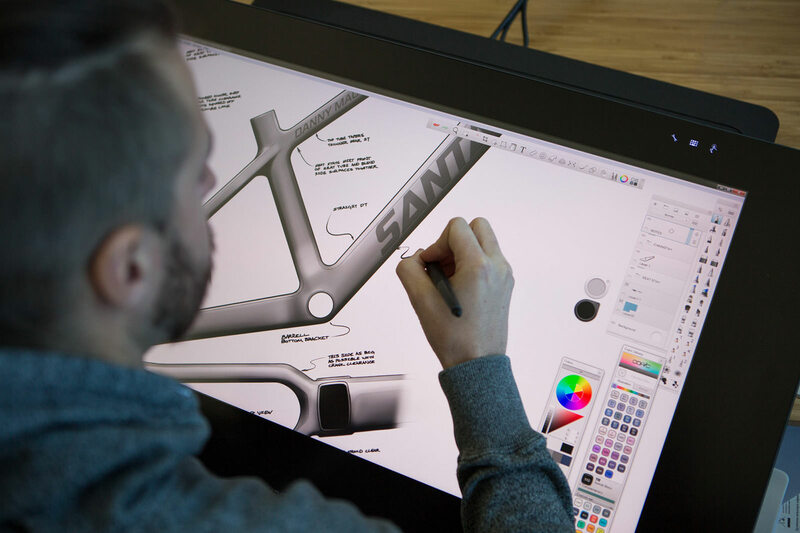 One of 11 prototypes that were developed before the finished bike rolled into Danny's hands. One of the fiber materials used in Danny’s bike is a “braided” carbon, which offers fiber in three orientations in a single material, as opposed to the woven or unidirectional types more commonly found. Braided carbon is an extremely impact-resistant material designed for use in jet engine cowlings. It protects the plane's fuselage (and passengers) in case a turbofan blade breaks loose, and sounded appropriate to crash-proof the exterior of Danny's frame! Qiso braided carbon fabric layed over the headtube. Nic had expected to see some kind of damage to the bike and had traveled to Scotland armed with his own repair kit. Instead of vulcanising solution, sandpaper, a patch and a little yellow crayon, think prepreg carbon sheets, shrink wrap and a heat gun! Nic grabbed the spare frame and reinforced the area in need with more carbon, but how could he cure it without access to the Spengler press? Well, he found some spare British Thermal Units…. For real. Nic sacrificed his impeccable AirBnB rating in order to get the job done. The frame went (half) in the oven. He took the freshly baked results to Danny in the morning and the testing continued. Same spot, no more breaks. 5 star rating. So back in Santa Cruz we made Danny a fresh version of that first prototype with beefier stays. Gave it a coat of International Orange and left a peek of that braided carbon coming through the lettering on the downtube just because we could. So that’s it. Testing complete. Danny will be giving his new bike its first public appearance at the Sea Otter Classic in Monterey, California April 19-22. See you there! Danny's full carbon dream bike with 24-inch Reserve carbon wheels. Not available anywhere. Sign up for our email newsletter and be the first to know about new product like the Danny Mac bike. Still looking for more? There's a bike check video with Danny. 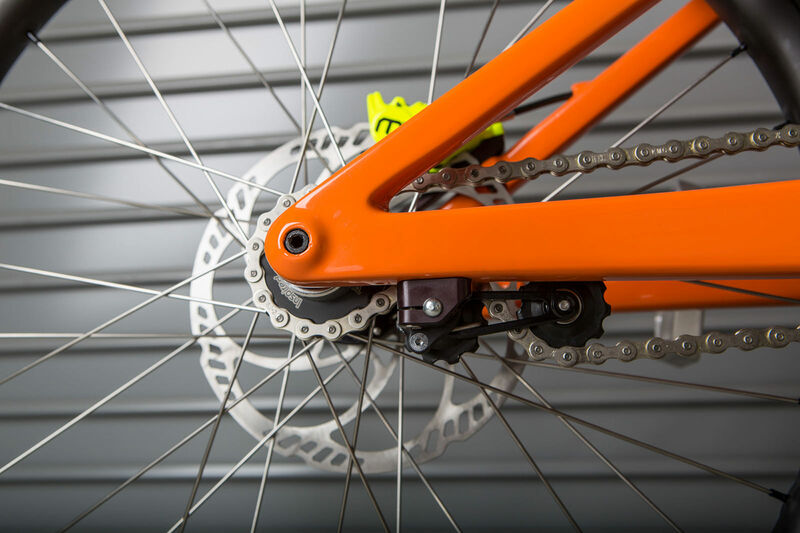 Just hit the button to get a closer look at the Santa Cruz trials bike on Youtube.